Welcome to my list of Top Seremban Attractions. Many of them can be covered on foot. The historic heart of the town comprises a few blocks of shophouses arranged in a grid pattern together with some grand colonial and modern architecture arranged around a scenic lake garden. To see the more outlying attractions you would need a car or taxi. The quaint old railway station was built in 1924 and has a terracotta tiled roof and an open air booking area. It is topped with a clock tower with an Islamic style cupola. You might see a couple of old fashioned baggage trolleys outside the porters' area, the sort of trolley that has long disappeared from British railway stations. 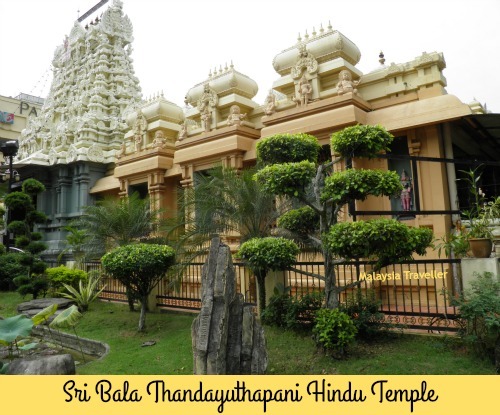 Nearby on Jalan Yam Tuan you will find the beautiful and immaculately tended Sri Bala Thandayuthapani Hindu Temple. 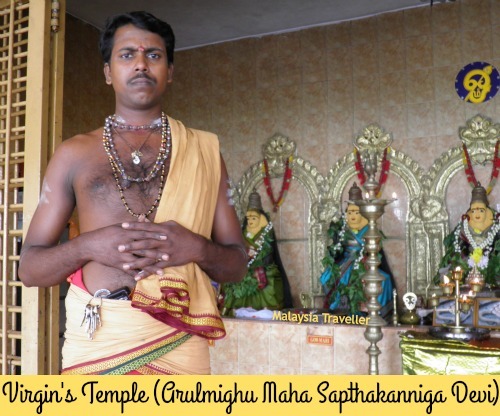 This temple was built by a businessman of Sri Lankan origin in 1895. Inside is a splendid, intricately decorated golden chariot made from copper plated teak, topped with 2.5 kg of gold. Ask permission and remove shoes before entering. Facing the temple are the Lake Gardens, Seremban’s well-groomed park with mature trees, jogging paths, gazebos, manicured lawns and a couple of lakes, one of which has a floating stage for cultural performances. An orchid garden is a recent addition to the Lake Gardens. The modern State Mosque, which was completed in 1967, overlooks the Lake Gardens. The mosque has nine pillars representing the 9 districts making up the State of Negeri Sembilan (which literally translates as 'nine states'). 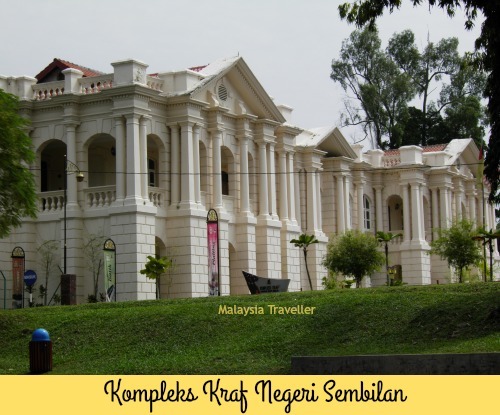 This crafts complex is housed in a stately building, built in 1912, which was once the home of Captain Murray, the British Resident to Negeri Sembilan. A very nice home it must have been too! 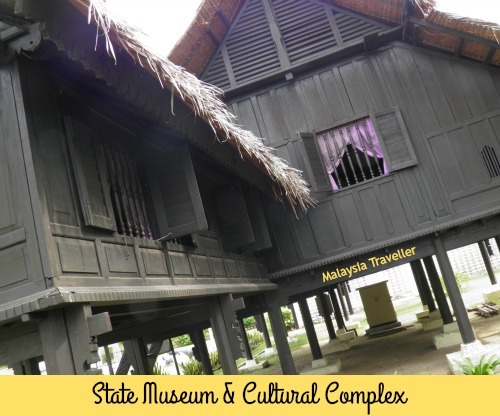 It has been well preserved and converted into a showcase of Malaysian handicrafts, particularly bamboo products, rattan and pandan leaf weaving, ceramics, glassware and batik clothing. A great place to pick up a souvenir or gift. Open daily 9am - 6pm. A couple of minutes up the road sits the even grander looking State Library building. 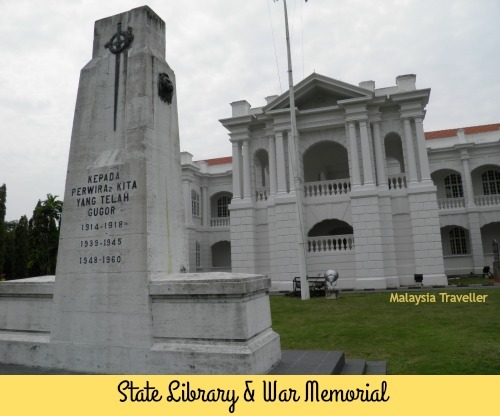 Originally serving as the office of the State Secretary, this colonial masterpiece was also built in 1912 and designed by A.B.Hubback, the architect responsible for many of Kuala Lumpur's famous landmarks. The plaque outside said that the library contains more than a million books and was once known as the Sir Henry Gurney Library. During my visit however the building was completely empty of books so perhaps it is being earmarked for another purpose. Across the street is the current State Secretariat (Wisma Negeri) building finished in 1987. 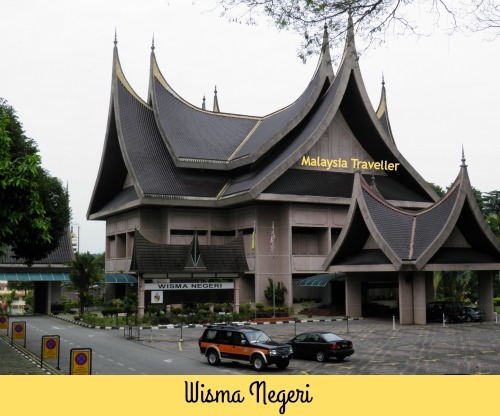 Its distinctive design includes a roofline suggesting the shape of buffalo horns, a style originating from Sumatra, Indonesia, from where many of Negeri Sembilan's influences, customs and people are descended. This Catholic church founded by French missionaries. 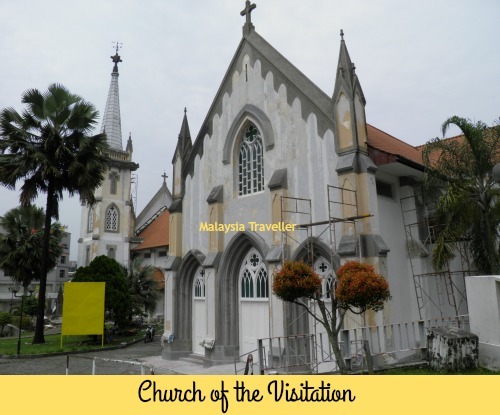 In the mid 1800s, French priests based in Kuala Lumpur would visit their flock in Malacca once every two months to receive confession. The priests used to break the journey, which was by bullock cart, in Seremban where they would perform services in an attap hut. These regular visitations may account for the Church's name. Later a proper church was built and the current building dates from 1899 with newer additions in 1935. 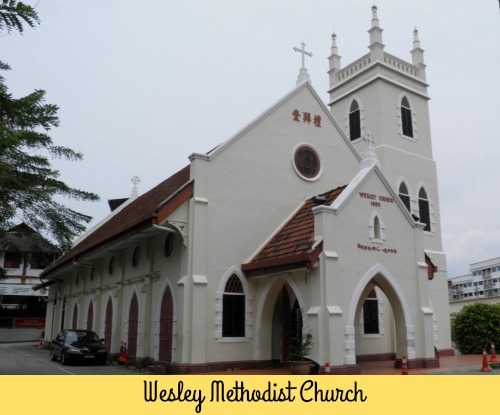 Another notable Christian place of worship is the Wesley Methodist Church. This was founded in 1915 to cater to the waves of Chinese migrants (some of whom were Christians) who flooded into the area following the discovery of tin ore in 1870. The Anglo-Chinese School (SMK Methodist) was founded about the same time and shares the same compound with the church. 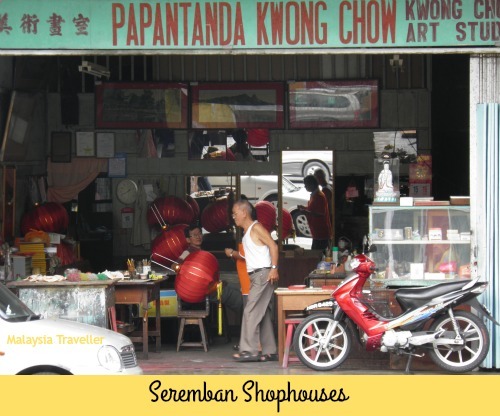 The historic core of Seremban has a few narrow lanes full of shophouses to explore. You might want to take a break in one of the many restaurants, perhaps browse in an antique shop, sniff the powerful aroma of a traditional Chinese medicine shop, or take a peek inside one of the many Chinese temples in this area. Seremban is famous for its food. Specialities include Pak Cham Kai (steamed chicken), chicken porridge, Seremban beef noodles and Siew Pau (baked dumplings). 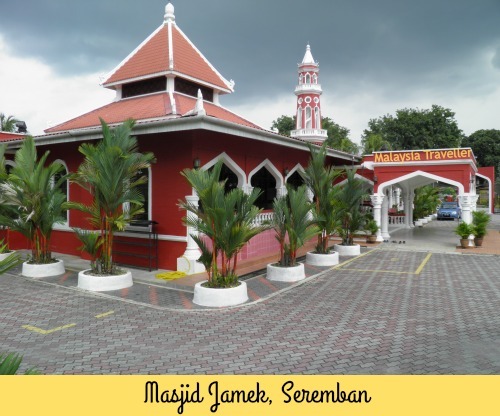 This pretty red mosque has a pagoda shaped minaret and a central tower in the Malaccan style instead of a dome. The inscription above the entrance to the tower dates the construction to 1924. The museum has a modest collection of old artefacts, photos, ceramics and a display of Negeri Sembilan postage stamps. In the grounds outside are two fine Minangkabau traditional wooden houses. Dating from the late 19th century, one of the houses was built without using a single nail and includes detailed carvings including verses from the Holy Quran. Minangkabau culture originates from near Padang, Sumatra and apart from their distinctive architecture they are famous for being a matrilineal society with inheritance being passed down through the female line. This is a new addition to my list of Top Seremban Attractions. This interesting Chinese temple, known more formally as Then Sze Khoon, is located on a hill top on the northern edge of town. 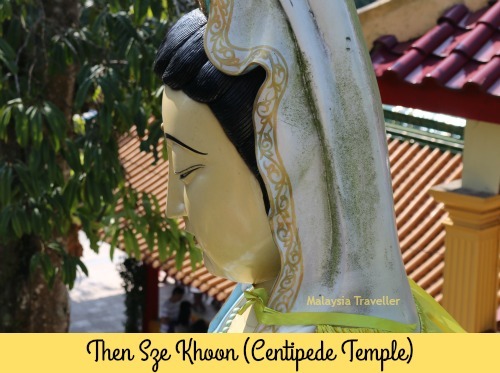 You can find out about the legend of the centipede and more details about the temple here. On a hilltop overlooking Seremban is a small Hindu temple called the Arulmighu Maha Sapthakanniga Devi Temple, also known as the Virgin's Temple. Various mystical tales are linked to this place. This is one of the top Seremban attractions. You can read more on my blog. This brand new museum contains exhibits relating to Tuanku Ja’afar’s 42 year reign as Yang-di-Pertaun Besar Negeri Sembilan. It is located in the Lake Gardens area. Full details here. 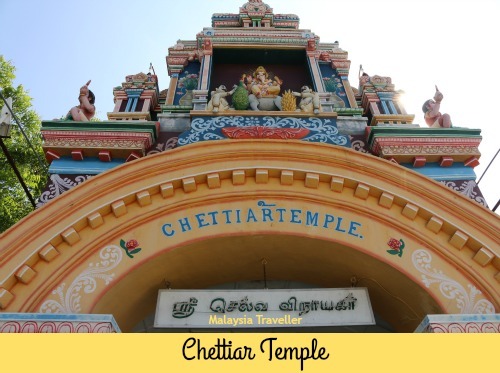 On Jalan Temiang is a Chettiar Temple called Sri Selva Vinayagar Temple which began construction in 1922. Also on Jalan Temiang, I noticed this handsome building dated 1928 with a sign outside saying Gabungan Persatuan Hakka Negeri Sembilan. 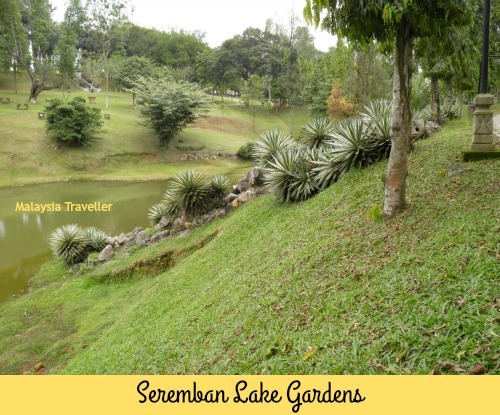 This park is located close to the main Lake Gardens in Seremban. 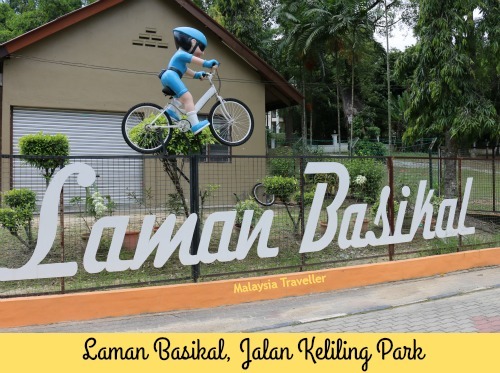 It includes a Bicycle Park (Laman Basikal) for children to practice cycling skills under simulated road conditions (appears to be closed for renovation), a lake, picnic spots and a children’s playground. Despite its Chinese temple appearance, this complex, located on Jalan Mufti Ahmad, is an Islamic centre, providing religious teaching and facilities for Negeri Sembilan's Chinese Muslim community, including recent converts. 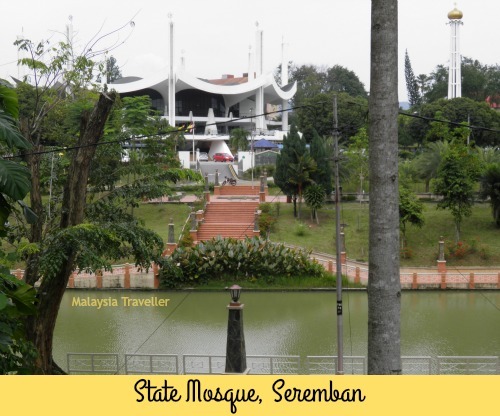 I have included it on this Top Seremban Attractions list because of its striking architecture but it is not open to the general public without permission. 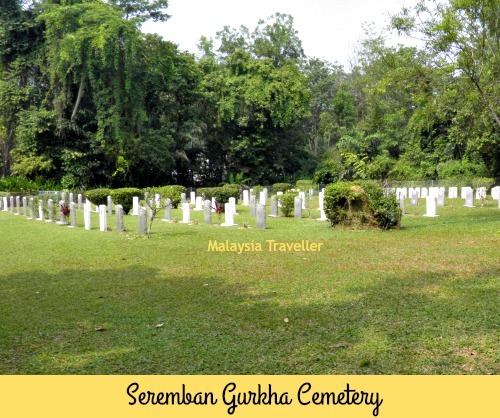 This small cemetery on Jalan Tungku Kurshiah, contains the remains of Gurkha soldiers killed during the Malayan Emergency and the graves of family members. Across the street is Seremban Christian Cemetery where some British military graves from the Emergency period can be found. Hope you enjoy discovering these Top Seremban Attractions as much as I have. 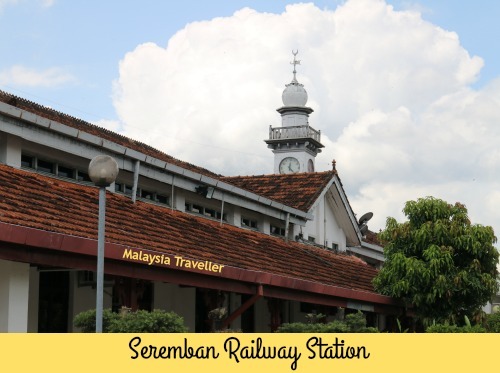 If you are not in a rush why not stay overnight in Seremban? See Agoda's ad below for a wide range of hotels in Seremban at discounted rates.